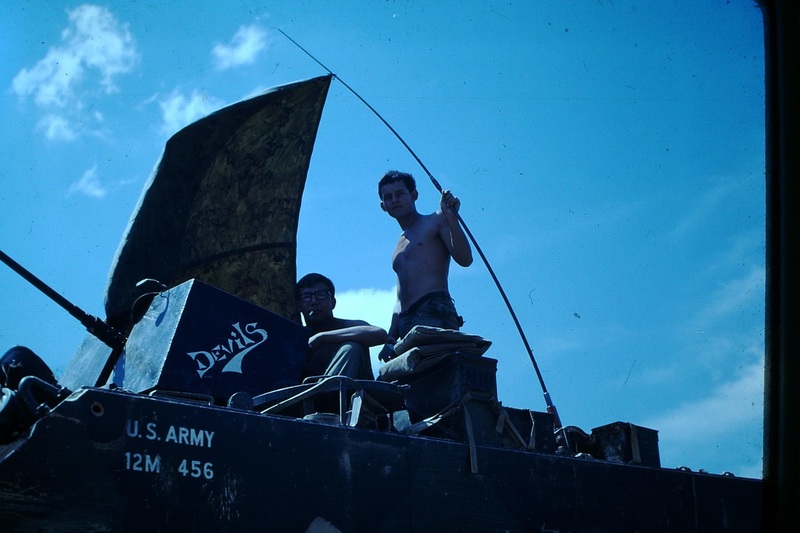 During their tours of duty in Vietnam, troopers of D/16th used a variety of methods to camouflage their tracks and to add creative combat artwork. 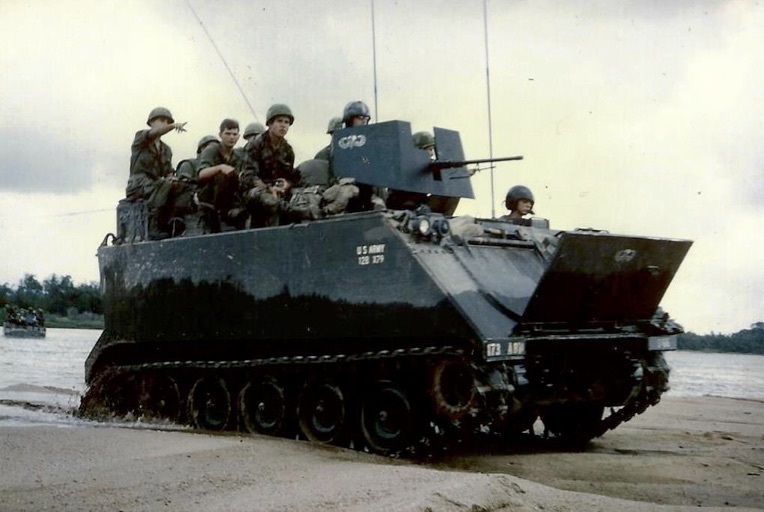 It was a statement of their pride in the airborne armor company that would always achieve its mission.The D/16 Death's–Head was the most evident and it evolved over the years of deployment in Vietnam. It's intent was primarily to convey the fighting spirit of D/16 troopers. 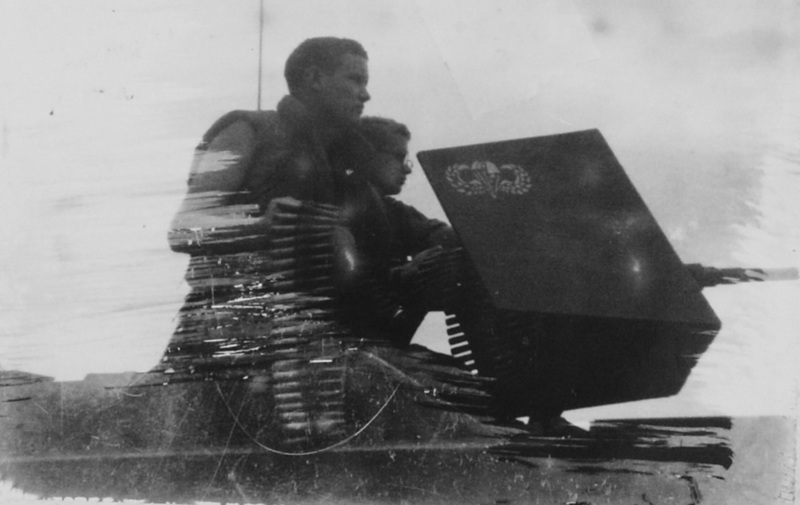 Most information about these images comes from the recollections of veterans to accompany the photos submitted to this website. The images here are in approximate chronological order. 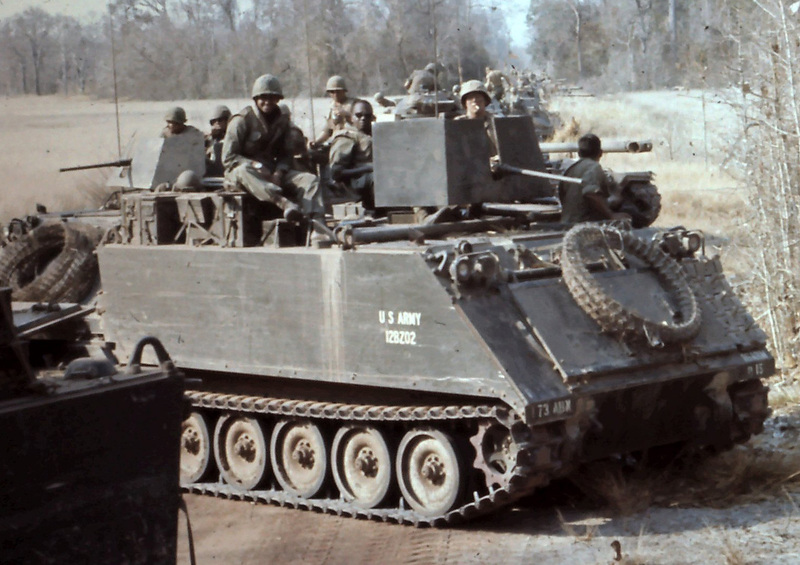 D15 is a standard government issue M113 Armored Personnel Carrier. The only added component is the "in-country" fabricated gunshield. It was crafted from 1/2" steel and was unusually quite rugged. Most D/16 tracks would deviate considerably from this in camouflage, artwork and armament. 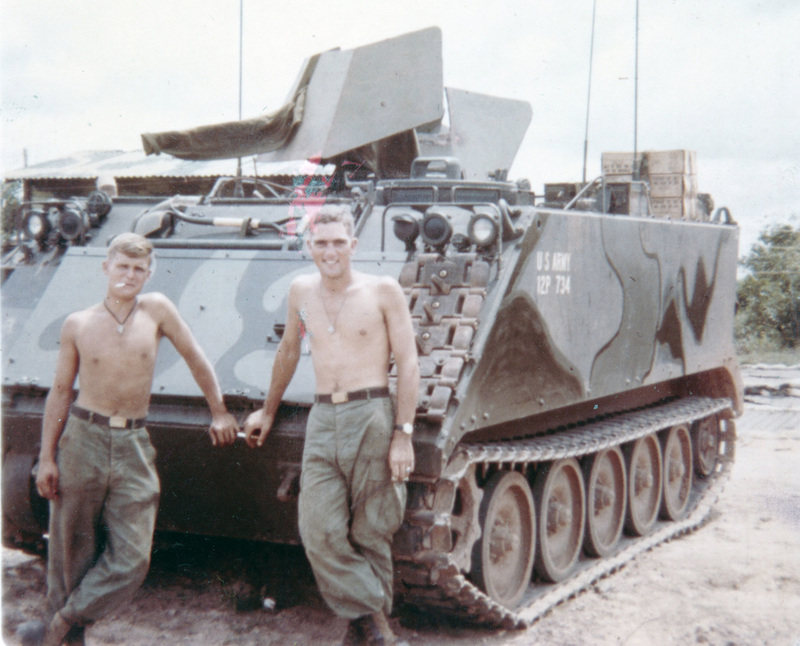 The Tuy Hoa Dragons of 1st Platoon. Note the half skull-half jump wings on the trim vane. 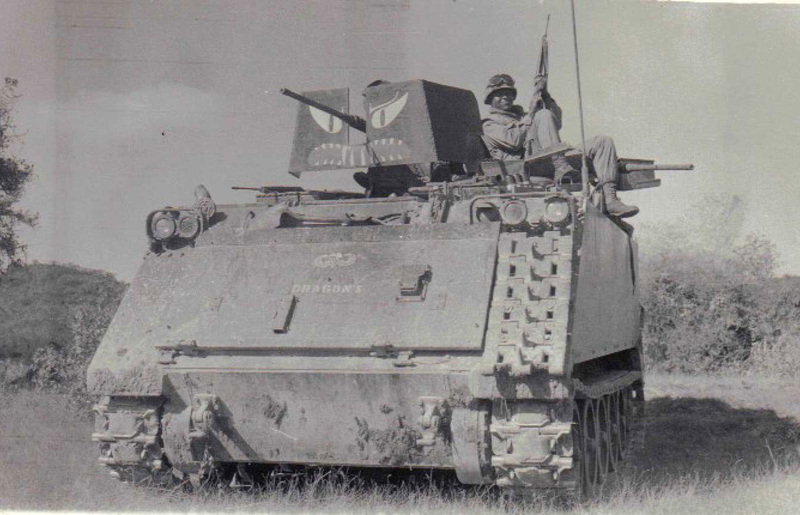 The Dragon mask was drawn up by Platoon Sgt Tom Presley, and was painted on to all five tracks in his Platoon by Harry Rathburn circa June 1967. This was the first, platoon wide art work in the Company. It is not known if it was replaced on vehicles that were destroyed later on or for one reason or the other taken out of action. PSG Presley would like it dedicated to all members of his Platoon during this time period. D42 mortar track with its variation on the Bat Track theme. A casual observer might think the camouflage might attract attention as opposed to deterring it. Sgt. Miranda's D41 "Bat Track" mortar track. 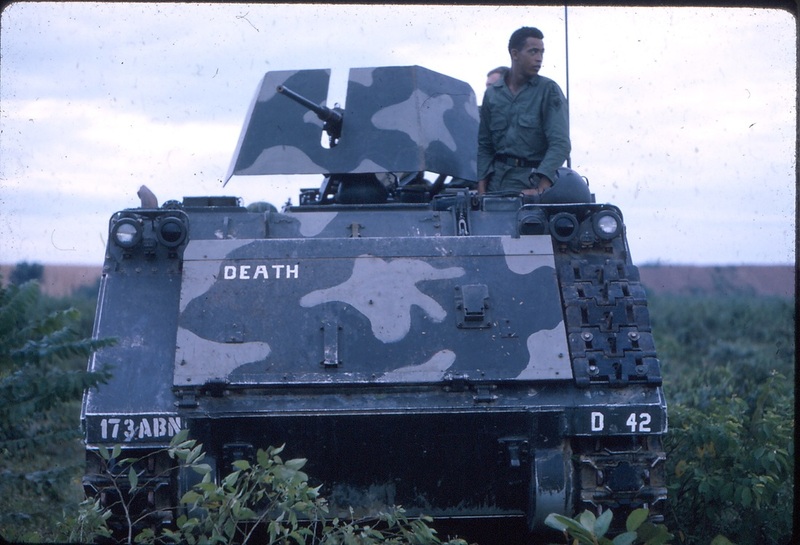 Note the rudimentary camouflage intended to disguise the APC, as if a 25 ton, gasoline belching vehicle could be hidden from the enemy. 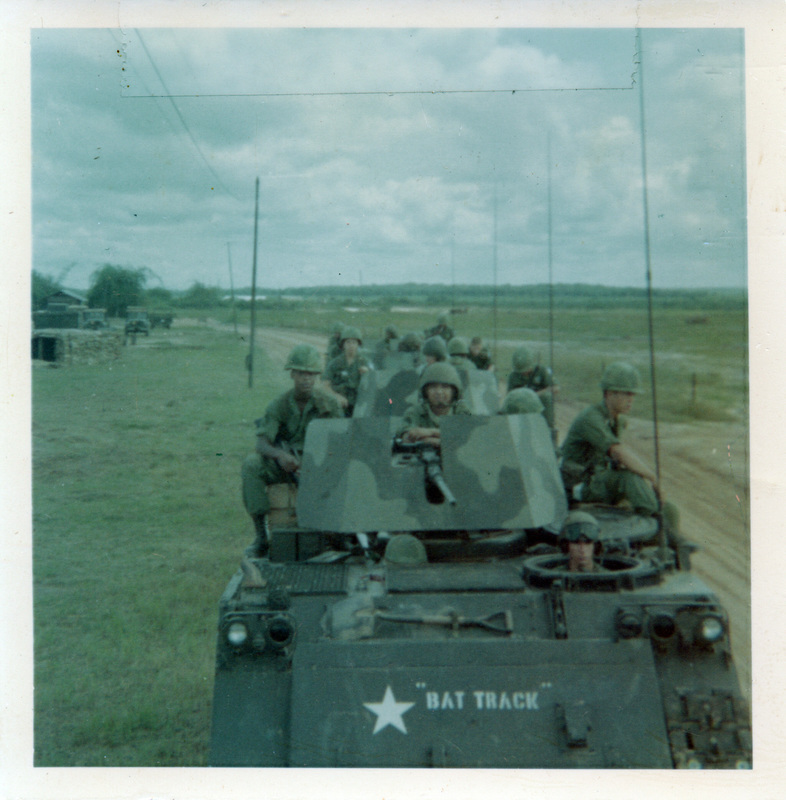 D46, FDC track for 4.2" Mortar Platoon. What were they thinking when they put on this camouflage? John Powers and another trooper to remain anonymous. D21 with perhaps the original death's-head. 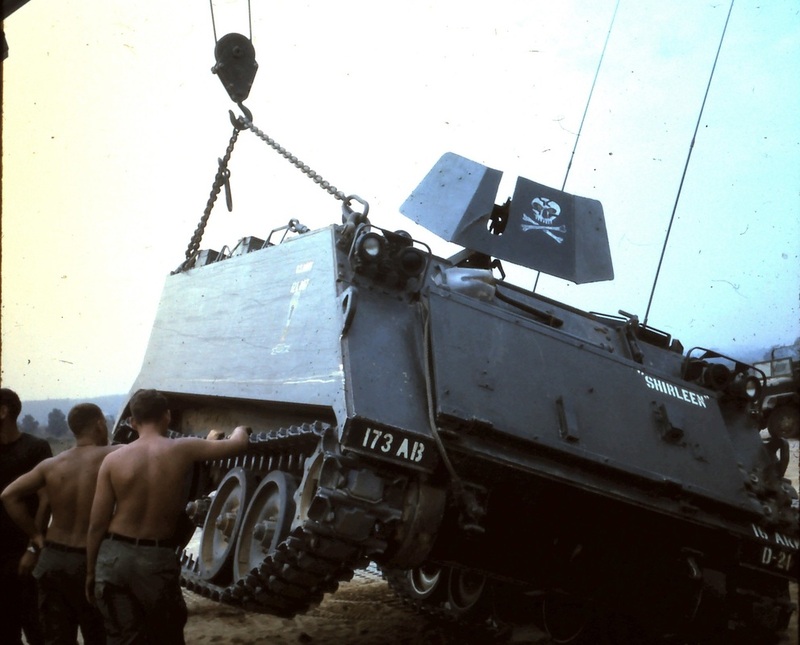 The APC is undergoing repair for a broken road wheel. D66 with two versions of the death's-head. On the cupola, skull and cross bones with jump wings. On the trim vane, half skull-half jump wings. Note the Indian on the gun shield. 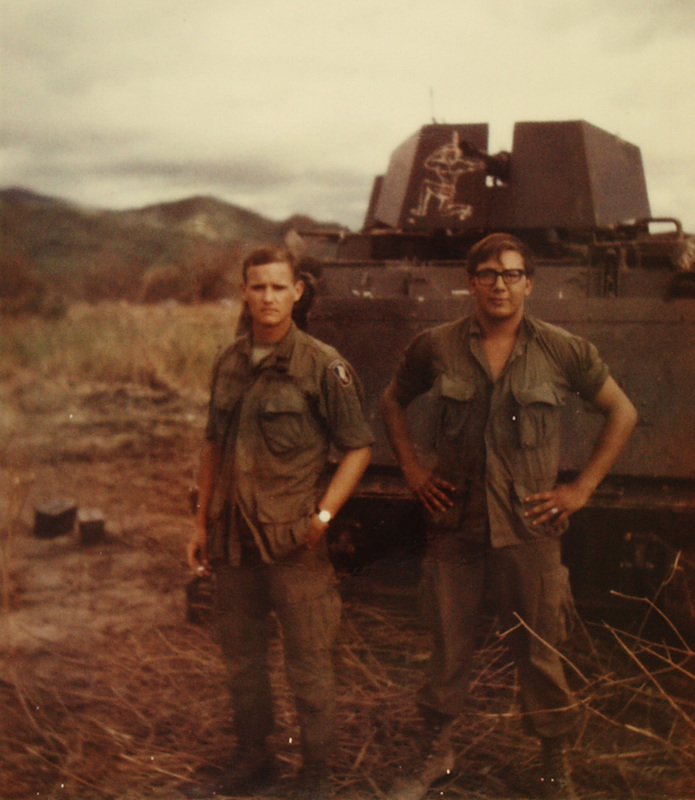 Brett Beyer and Kirk Grubbs, 1st Platoon. D11 and one of the most iconic images of D/16. Brett Beyer and TC, Dave Curtin. 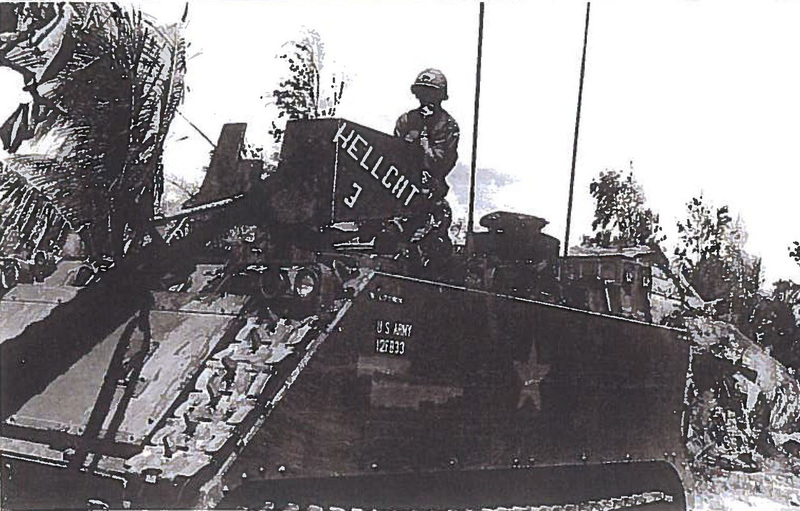 The half skull-half jump wings on the cupola was most common for D/16 tracks in Tuy Hoa. Shaded from the blistering sun, the "Devils" posted to guard duty. HELLCAT 3. The US star is muted. Many were painted over to avoid an aiming point for RPG's. 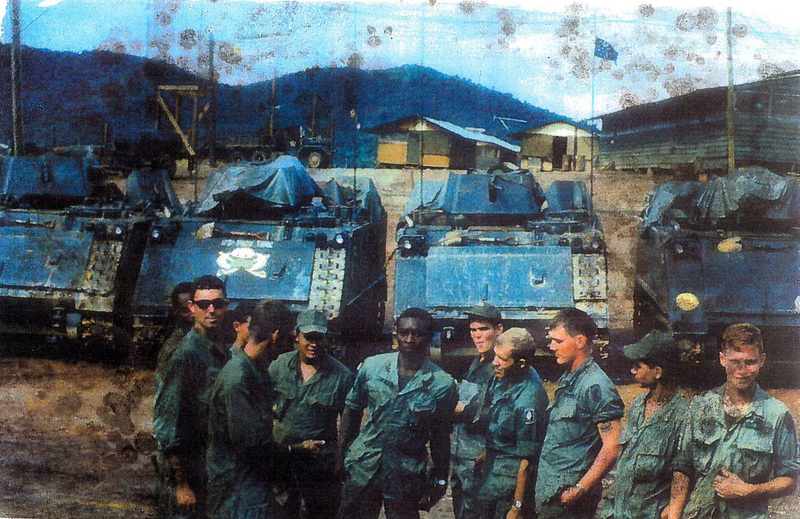 Tuy Hoa Provisional Tank Company, the decendant of D/16. Note the crossed sabres and death's-head on the trim vane.